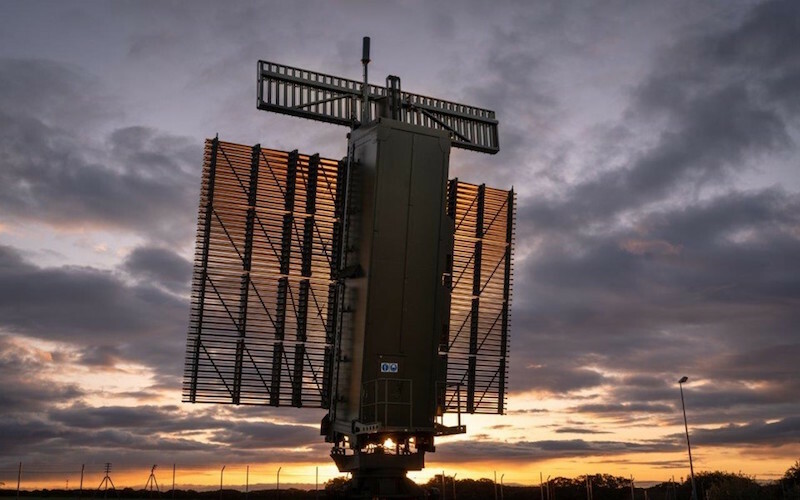 The NATO Communications and Information Agency (NCIA) successfully handed off two new radars to the Lithuanian Air Force on 4 December 2018. The Lithuanian radars are now contributing to NATO's air surveillance capability as part of the NATO Integrated Air and Missile Defence System. In return, Lithuania receives the combined NATO Air Surveillance data, allowing visibility on air traffic way beyond the nation's borders. "Today's event – the initiation of this radar system – continues Lithuania's steadfast endeavour to secure its freedom and to never allow the atrocities of the past to be repeated. NATO stands with you in this endeavour," said NCI Agency General Manager Kevin J. Scheid at the ceremony. "The operational launch of the two long-range radars marks a huge qualitative leap in strengthening both Lithuania's national and NATO's air surveillance capability, a part of the NATO Integrated Air and Missile Defence System," Deputy Defence Minister Edvinas Kerza said on 4 December, during a visit to the Airspace Surveillance and Control post in Antaveršis. "In this regard, this is not just a state-of-the-art radar system, but a technological declaration of independence. And how appropriate that this declaration comes on the 100th anniversary of Lithuanian Independence," said Mr Scheid. "We have a wealth of experience, not just in the procurement domain but also in the technical domain," noted Rene Thaens, Head of the Electronic Warfare and Sensors Branch for the NCI Agency. Mr Thaens is also the project manager for the Lithuanian Air Surveillance project. Prior Lithuanian radars dated back to the era before the nation acceded to NATO in 2004. The capabilities of these systems could not meet NATO's needs, leading Lithuania to seek a modern air surveillance capability. The nearly 40 million EUR project began with a study, conducted by the Agency, on the country's radar capabilities. Based on the study's outcome, the Lithuanian Ministry of Defence requested the Agency run the procurement, which began in 2010. Work to arrange secure communications was added to the scope of the project over time, Mr Thaens said. Communications must be secured between the radar and the central node digesting the data, which requires particular cryptographic equipment. Utilizing NATO's best practices and standards to complete the project has several benefits, including interoperability, Mr Thaens added. Nations can do such work independently, but that route can be difficult because the radars must be integrated into NATO's air surveillance system. -- Through the enhancement and strengthening of the peacetime airspace surveillance system, Lithuania Armed Forces will upgrade three Airspace Surveillance and Control Command radar posts: 1st (Antaveršis village, Prienai district), 3rd (Degučiai village, Šilutė district) and 4th (Ceikiškės village, Ignalina district). The 4th post in Ignalina where construction works began in 2017 is scheduled to reach full operational capability in 2020. -- The project has been running since 2007, the radar acquisition procedures were conducted and contract signed between a NATO country manufacturer and the NATO Communications and Information Agency (NCIA) together with the NATO Support Agency (NSPA) on behalf of the Ministry of National Defence of Lithuania. The total value of the project, incl. radar systems and infrastructure, is approximately € 60 million euro. -- The provision of an effective airspace surveillance and control system is an essential Lithuanian national security task and North Atlantic Treaty Articles 3 and 5 obligations.